Over the course of two years La Marzocco worked with thirty of the world’s finest coffee professionals to design a machine. This group was known as the “Street Team”; the Strada, Italian for street, was named in their honor. 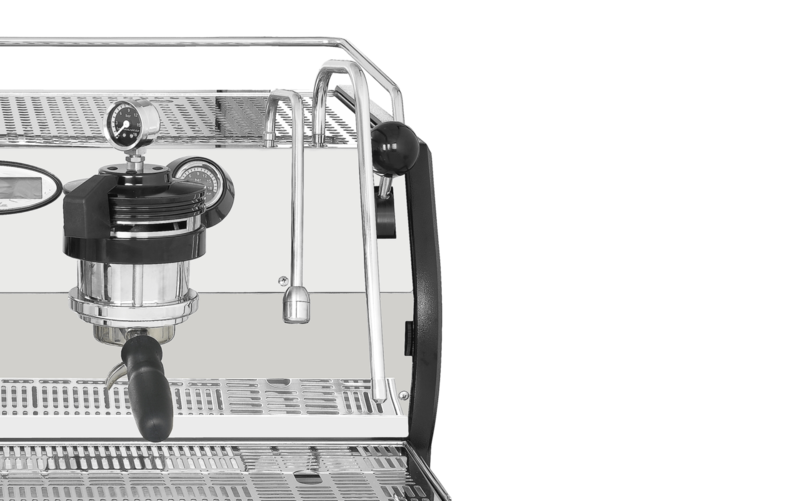 Street Team input resulted in the most technologically advanced traditional espresso machine featuring traditional hydraulics and a barista-friendly design. This conical valve system assures progressive control of water flow and pressure via an internal orifice, before applying full pressure. The new conical paddle valve controls the pre-infusion while the volumetric pump is working at full pressure, therefore barista may also perform a pre-infusion on one group while the other is extracting coffee. This dynamic system allows the barista to reduce channeling for a more balanced extraction. 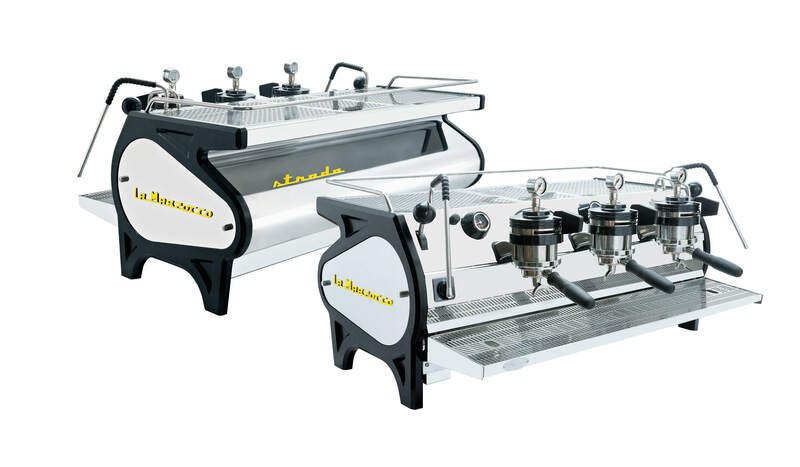 the strada mp is the most advanced machine featuring traditional la marzocco technology. This new conical valve system assures progressive control of water flow and pressure via an internal orifice, before applying full pressure. The paddle valve controls pre-infusion while the volumetric pump is working at full pressure, allowing the barista to perform pre-infusion on one group while the other is extracting coffee. This dynamic system allows the barista to reduce channeling for a more balanced extraction. progressive control of water flow and pressure via La Marzocco’s classic paddle interface and a mechanical internal valve, thus allowing controlled pre-infusion. dedicated coffee boilers and periscope pressure gauges for each brew group provide real time coffee boiler pressure throughout the extraction. Dedicated pressure gauges help to indicate any inconsistencies in the grind, dose, or tamp. increased temperature stability, ergonomics and workspace visibility. separate boilers for each group head allow baristas to optimize temperature for multiple coffees. synthetic ruby flow restrictors resist scale formation and erosion. prior to entering into the coffee boiler, water is pre-heated – thus increasing productivity. La Marzocco’s iconic paddle to activate coffee brewing. temperature display, shot timers and intuitive programming simplifies the adjustment of machine parameters. a user-friendly lever controls steam. fine tune the temperature of the hot water spout. accommodates a variety of cup sizes.